Myoko is a very small town beneath four separate ski areas, with two more ski areas just out of walking distance. Myoko is in the Niigata prefecture, meaning that it is one of the first of Honshu's mountains to be hit by storms coming off the Sea of Japan. The first mountains to be hit by any costal storm generally receive the most snow compared to mountains farther inland. Myoko is a short train ride away from Nagano, but it is still one of Honshu's premiere ski destinations. This place is a cheaper alternative to Nozawa Onsen or a great addition to any Honshu ski circuit. The two ski resorts within walking distance from the Myoko village are: Akakura Kanko and Akakura Onsen. Both ski areas are connected and you can purchase lift tickets valid at both. The other notable ski resorts on Mt. Myoko are: Myoko Suginohara, Ikenotaira Onsen, and Seki Onsen. Myoko Kogen is a small village at the foot of a large and famous MOUNTAIN that provides amazing views, great skiing, and an affordable alternative to other destinations. The Niigata Prefecture is dotted with ski resorts. If you were to drive around this region you would encounter every type of ski resort that you can imagine, and some that you can't imagine. Niigata borders the Nagano prefecture to the north and boasts similar terrain but with the possibility of more snow because of its location closer to the coast. Niigata is not touristy once outside of the few known destinations, and once beyond these established resorts and ancient villages you will find relics of the Japanese ski boom of the 1980s. From Myoko you can see a dozen different ski areas including Nozawa Onsen and Madarao. But don't spend too much time gazing into the distance at other mountains because the one you are standing on has an enormous amount of terrain to offer. Myoko is a more affordable alternative to the other nearly overrun regions dotted throughout the Alps of Honshu. If you are willing to hike in these mountains then you have plentiful backcountry options. If you want to explore the surrounding region then you will find yourself in a real Japanese experience and in a spectacular setting. 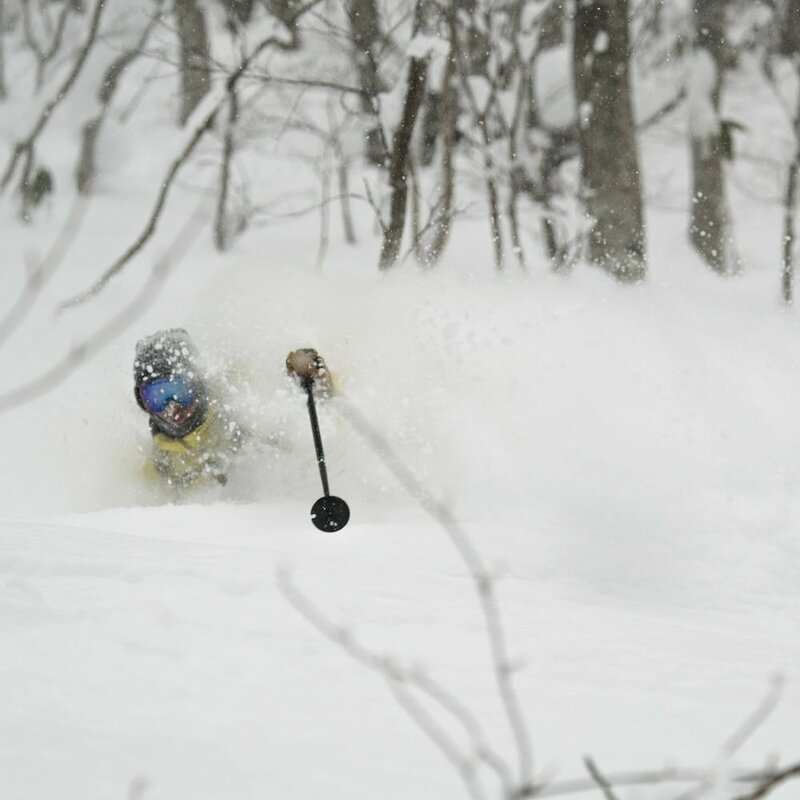 Myoko is the more relaxed, cheaper and less discovered version of Hakuba. But it gets more snow!